Do I Need General Dentistry? How often do you visit the dentist? To address minor problems and help prevent major oral health problems, we may recommend general dentistry. People who brush and floss may ask, “Do I need general dentistry?” The answer is yes, everyone, children and adults, benefit from general dental care. General dentistry refers to preventive and restorative procedures that protect the teeth from oral health problems or address them in the early stages. We believe that with routine visits and maintenance we can help patients avoid the need for more serious procedures and treatment in the future. What are Your General Procedures? Checkups and cleanings: These are routine procedures that patients should undergo at least twice a year. A checkup allows the dentist to look at your smile for any indicators of developing problems. A cleaning involves removing plaque from the teeth, which brightens them and reduces the risk of tooth decay and gum disease. Patients of all ages can benefit from these regular visits. Fillings and crowns: If you have a cavity or possibly a damaged tooth, then you may need a filling or crown. A filling involves using a white, metal-free material to fill in the decayed portion of the tooth. A crown addresses more serious decay, fitting over the visible parts of the tooth. Root canals and exactions: If you have an infected tooth we will try and save it with a root canal, which involves removing the infected tissue and restoring the tooth with a filling material and crown. If the tooth cannot be saved, an extraction allows our team to remove it before the infection spreads to surrounding teeth. 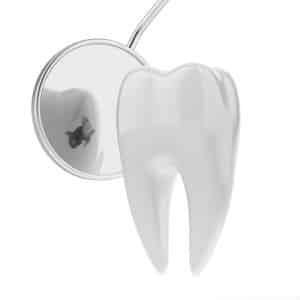 We can also extract wisdom teeth before they become impacted. Preventive treatments: For children, we can recommend either a dental sealant or fluoride treatment to safeguard the teeth against tooth decay.